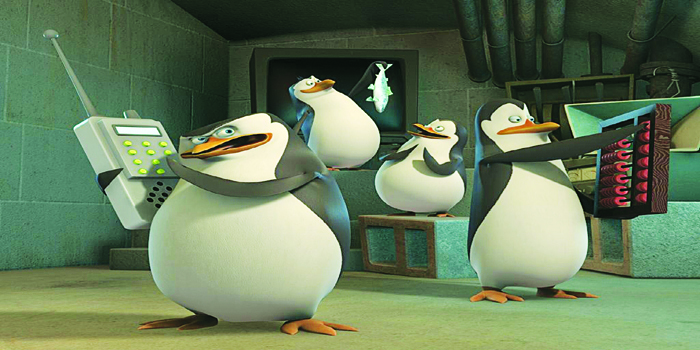 The Penguinsa��Skipper, Kowalski, Rico, and Privatea�� are working with with North Wind, an elite undercover inter-species task force to prevent Dr Octavius Brine from taking over the world. Did you know? Benedict Cumberbatch who has previously done voice work for an episode of The Simpsons will now be seen as Agent Classified in this movie. Three friendsa��Nick (Bateman), Dale (Day), and Kurt (Sudeikis)a�� start their own business , but Burt Hanson (Waltz), a savvy investor, appears to take them down. The three plan to kidnap Hansona��s son in order to put up a ransom to take back their business. Did you know? In a recent interview, Aniston said that she loved playing the role of Dr Julia Harris who is so twisted. too corrupt and so form the Ungli gang that captures Government babus and take justice into their own hands. an item song by Shraddha Kapoor called Dance Basanti. Karan Johar offered it to her promising a glamorous experience.